This fountain was made for President Bush just 1 week after 9-11-2001, to help heal the nations troubled soul. 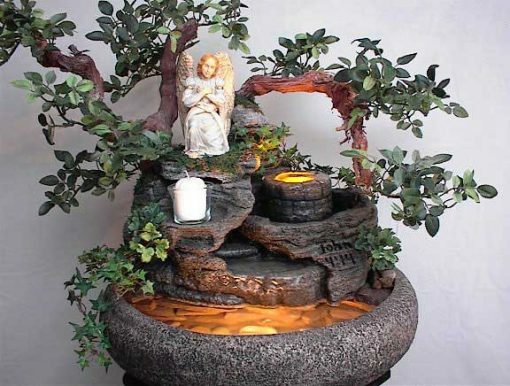 The angel in this fountain has been retired, however we have replaced her with one of equal quality. This display comes with Underwater Lighting already installed and can now be yours in just 3-4 weeks.